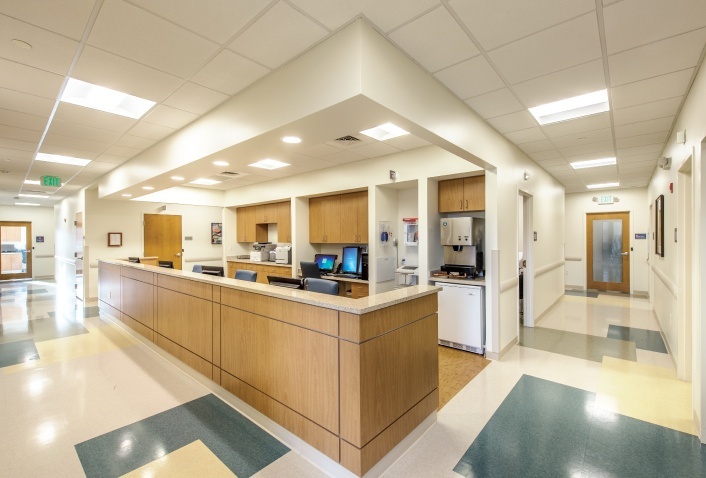 Maugel Architects has completed the design of five medical office suites for Circle Health’s new building at Cornerstone Square in Westford, MA. 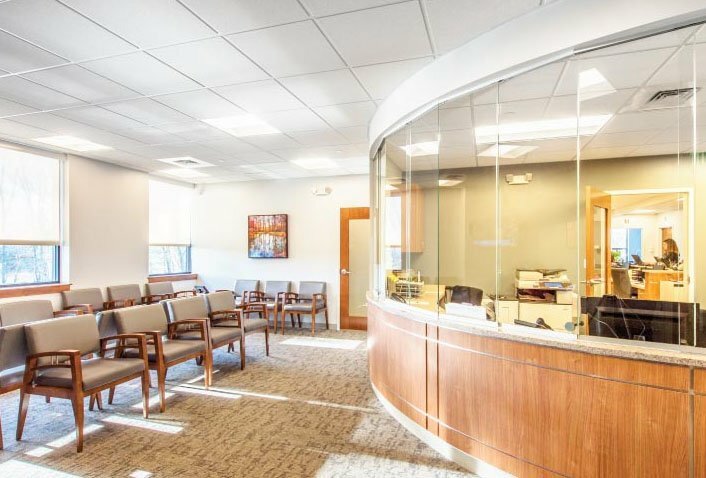 Circle Health Westford is the newest addition to Cornerstone Square with approximately 23,500 square feet of medical office space. 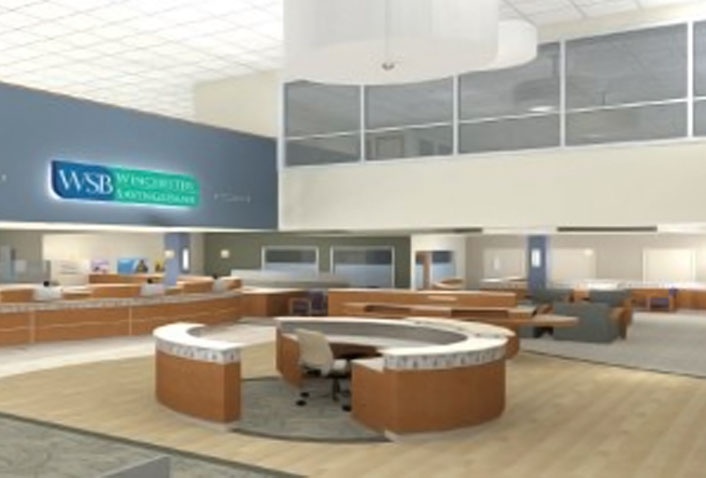 The new facility will provide the community with a Circle Health Urgent Care Center, a Lowell General Hospital Patient Service Center, and physician suites including Obstetrics & Gynecology, Primary Care, and Pediatric Specialties. Maugel Architects has had a busy year. The continuing trend of repositioning suburban assets has resulted in a flurry of new commissions for the firm. Maugel is well known throughout the commercial real estate industry for its talent in transforming commercial and industrial properties into modern, competitive assets. We are pleased to announce another Maugel wedding...Congratulations to our lovely Nicole and her husband Scott Kirouac. 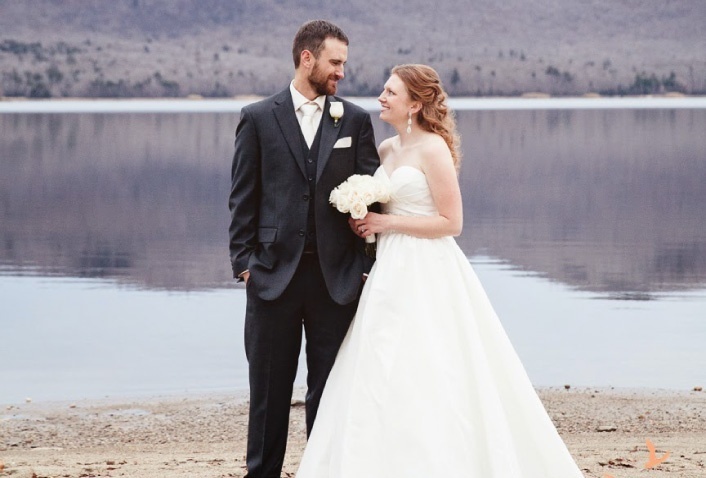 The couple was recently married in Vermont. What a gorgeous wedding dress and setting. We wish you a lifetime of happiness. 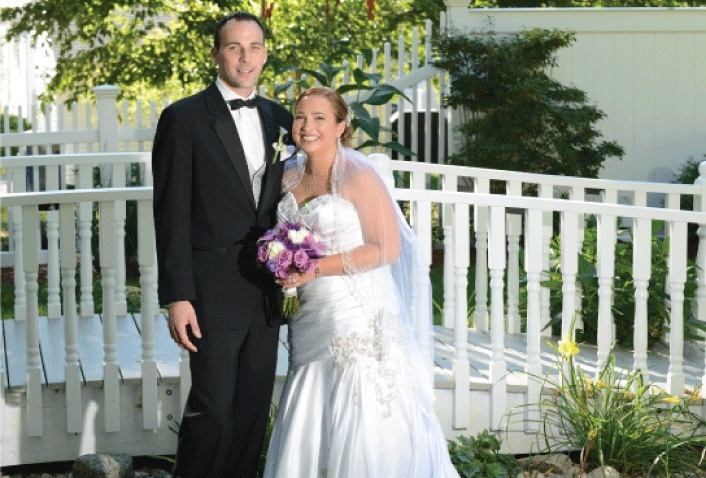 Introducing the new Mr. and Mrs. Gould...Congratulations to our beautiful Jen and her handsome husband Mike. We wish you much happiness. 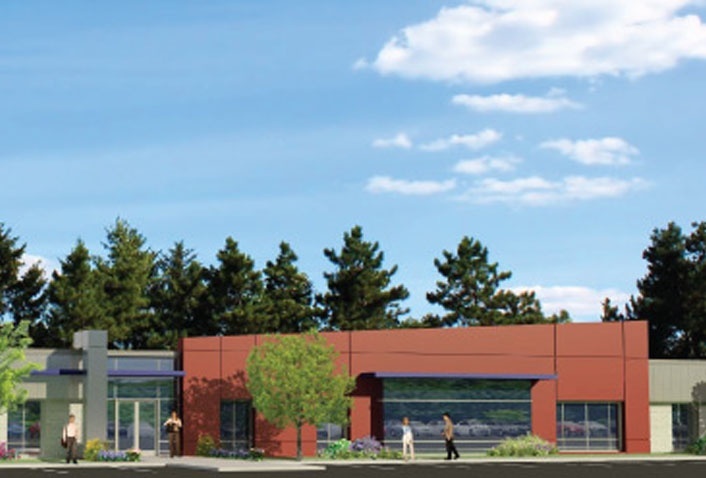 Maugel Architects announced today that Laddawn, Inc. received zoning approvals for a three-story addition to its headquarters located at 155 Jackson Road in Devens, MA. 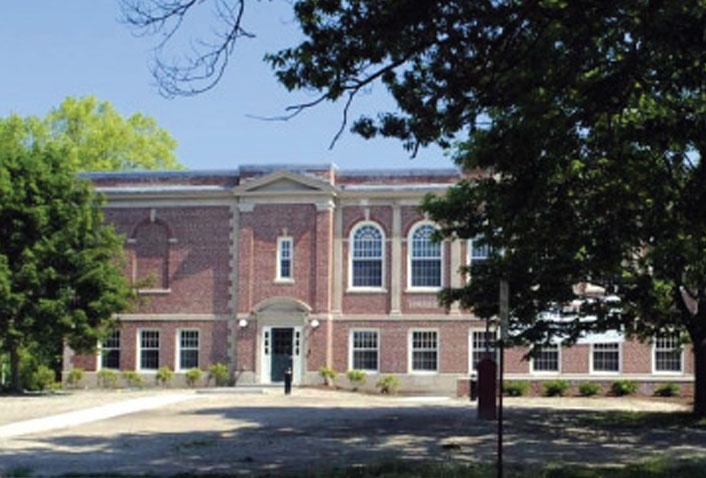 Laddawn’s current space is a Maugel-designed adaptive reuse of the Devens Library which was built in the 1960’s. The addition will nearly triple the size of the existing building and is considered a strategic component in attracting the industry’s top talent to Laddawn. Working closely with the owner, the team designed an innovative interpretation of the workplace. Traditional office layouts were replaced with creative and fun common spaces, treadmill and balance ball workstation areas, a café-style kitchen, an outdoor patio, and lounge areas. The new design incorporates an organic-industrial concept featuring a modern façade treatment and interior quality-of-life amenities. The aesthetic is achieved by bringing “the outside in” through the installation of a climbing wall and faux grass, combined with slate, concrete and exposed steel finishes. Maugel Architects announced today that Maugel and J. Calnan & Associates recently completed the renovation of Lexington Crossing for Griffith Properties. 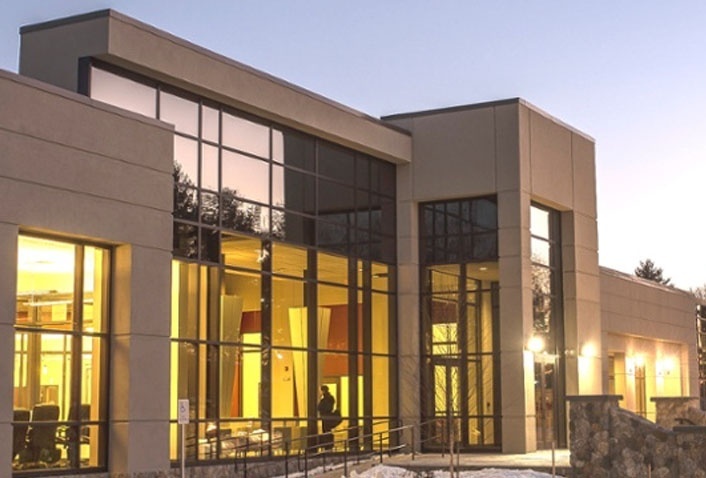 As a result of the successful collaboration at Five Omni Way, Griffith Properties selected Maugel Architects to design Lexington Crossing, a five building renovation and retro-fit project in the Lincoln Labs-Hanscom Field area of Lexington, MA. 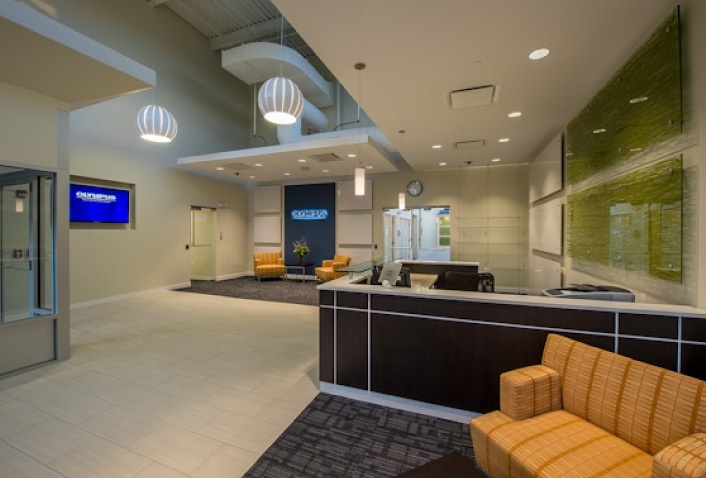 Maugel Architects recently completed the renovation of the corporate community room and idea center for Bemis Associates located in Shirley, MA. Bemis Associates is a world leader in industrial thermoplastic films. High-gloss floating cabinets were selected in place of the traditional casework most commonly seen. Glass was used in unconventional ways in backsplashes, texture-glass dividers, sliding and floating marker boards, and on brushed metal stand-offs. LED strip lighting and a variety of pendant lighting were employed to create a dramatic effect. A combination of flooring materials were installed to mirror the floating ceiling soffits to create a geometry in an otherwise plain square room. School environments must be functional and safe. They also need to draw you in, inspiring creativity and exploration--for children, for families, and for staff. In the competitive private school marketplace, first impressions are becoming increasingly vital to a school’s long range sustainability. 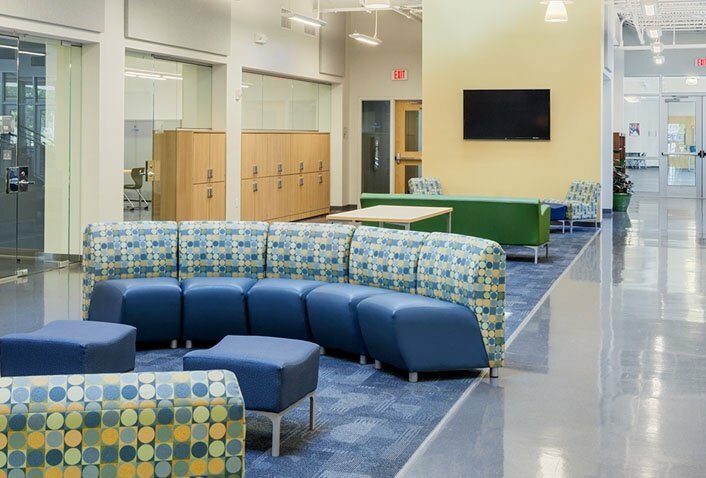 While reputation, curriculum and financial parameters will certainly be considerations, we believe an initial emotional response to a building’s character will weigh heavily in the decision-making process on whether or not to attend a particular school. The building’s design is also an important factor in the competition for highly-qualified staff. People like to hang around spaces that make them feel good. Burlington, MA -- The RJ Kelly Company selected Maugel Architects to redesign and reposition the old Vinebrook Plaza on Mall Road in Burlington, MA, into a major retail destination for national brands. The new plaza, the Shops at Mall Road, features articulated storefront bays to accommodate individual tenant branding. The articulation was accomplished by introducing a vertical material border between each user, highlighted by variations in material selections. New ADA access and site features provide an urban-arrival experience. Brent Maugel, president of Maugel Architects, shares his insights on the latest trend in retail design: The Marketplace Concept of Live-Work-Play. From Millenials to Baby Boomers, convenient access to work, housing, restaurants, shopping, and health care facilities are a top priority. The extreme traffic congestion of the Greater Boston area has many people transitioning from traditional living and shopping standards to live-work-play environments. Gone are the days of wanting to drive long distances to conveniences and services. The latest trend in retail design is a Marketplace concept. The Marketplace concept features a variety of styles and amenities, such as ample outdoor dining areas, attractive and vibrant pedestrian environments, and creative softscape and hardscape elements. 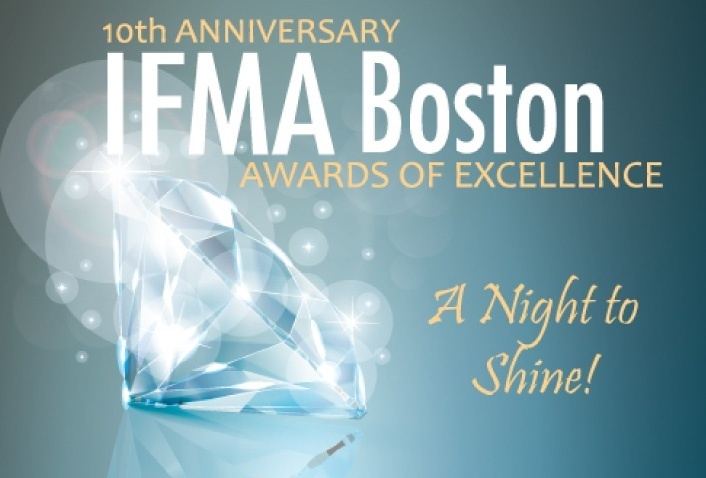 Congratulations to the entire design team for winning the 2014 IFMA Award of Excellence for World Academy School. 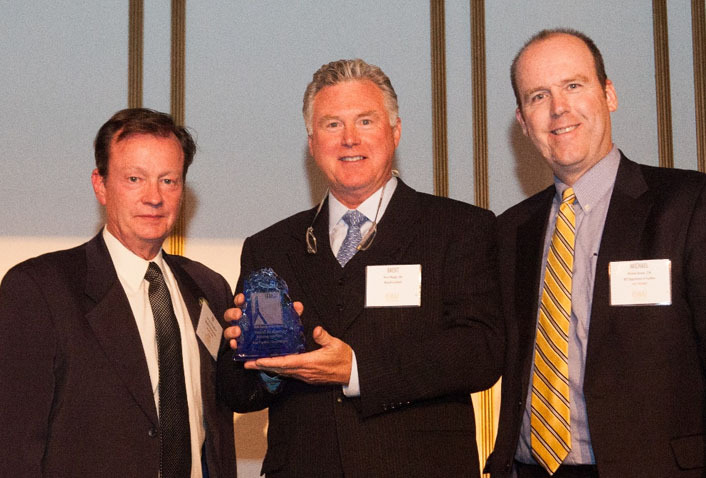 Brent Maugel, President of Maugel Architects, attended the ceremony and accepted the award on behalf of the team. 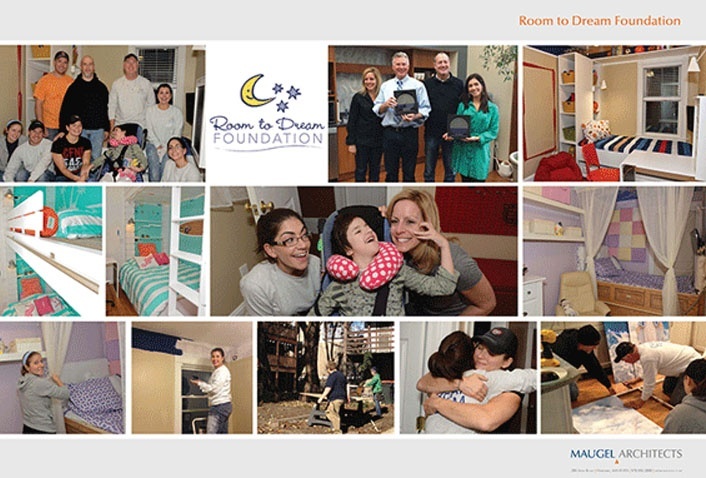 The project was nominated by Sakonnet Associates of Little Compton, Rhode Island. Maugel Architects has successfully completed dramatic and comprehensive renovations of Winchester Savings Bank’s three-story headquarters on Main Street in Winchester, MA. The Maugel design included a structural in-fill of a portion of the existing interior atrium as well as new teller stations, merchandising, and customer services. 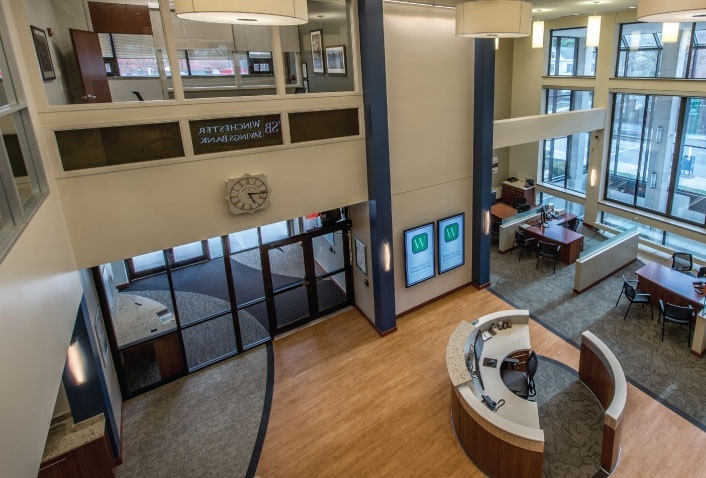 The rebranding of the bank was reflected in all new finishes, millwork, furniture, signage, and audio visual aids. The renovation transformed the 1979 banking environment into a modern retail and commercial banking environment. The new design welcomes long-time clientele, while reaching out to a new demographic. The result is an improved customer-focused experience that is welcoming, efficient, and visually dramatic. The renovation was completed while keeping the bank fully operational. 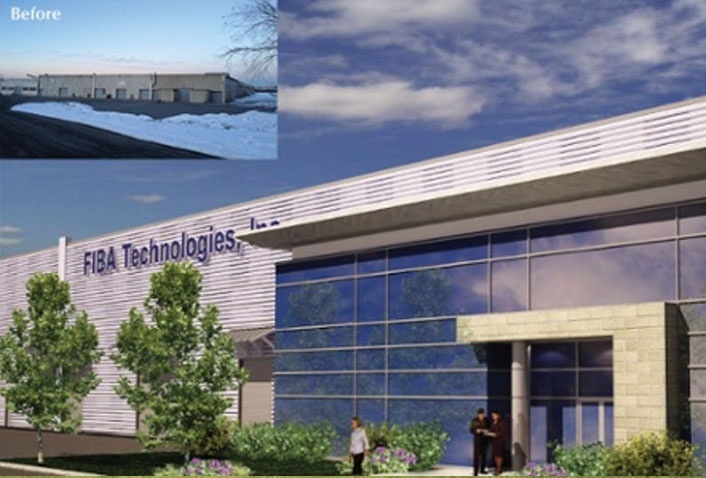 Maugel Architects announced today that Equity Industrial Partners has selected the firm to design their newly acquired 36,000 square-foot (sf) property at Ten Oceana Way in Norwood, MA. Integrated Builders has been selected as the general contractor. Maugel's work will include dramatic façade improvements that showcase the building’s main entrance and enhance the building’s appearance from the corner of Oceana Way and Canton Street. 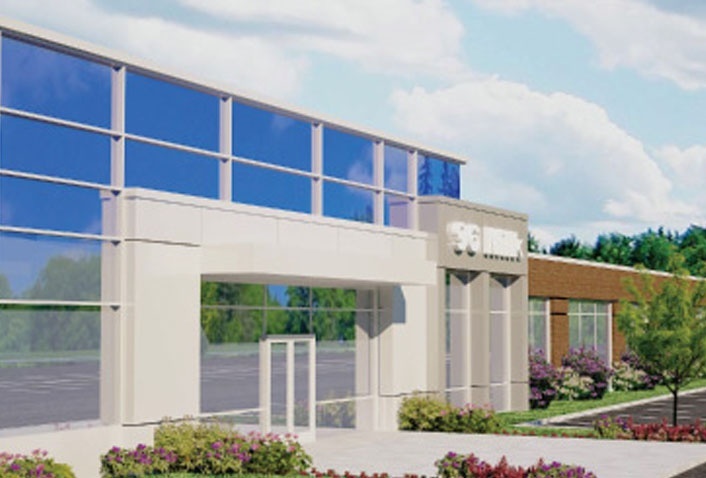 Maugel Architects has been selected to design 40,000 square feet of office space at 9 Northeastern Boulevard in Salem, NH. The design will incorporate a 6,000 square foot data center and control room. 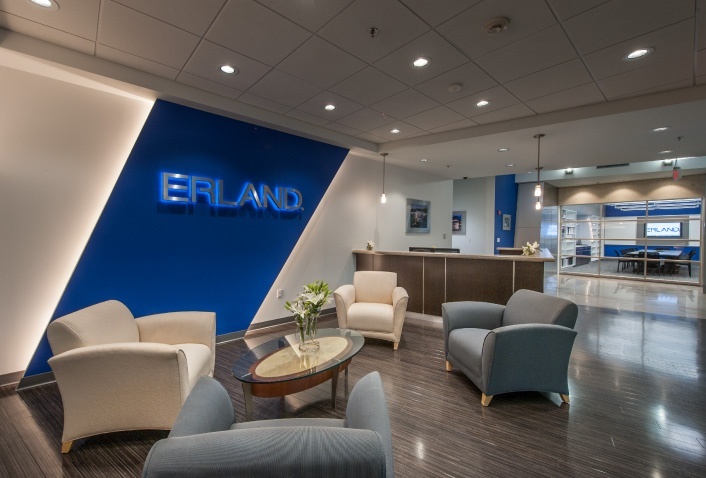 The successful renovation of 9 Northeastern Boulevard has been a four year collaboration between Equity Industrial Partners, Maugel Architects and Integrated Builders. Maugel Architects designed the dramatic façade improvements and multiple tenant fit-ups within the building. 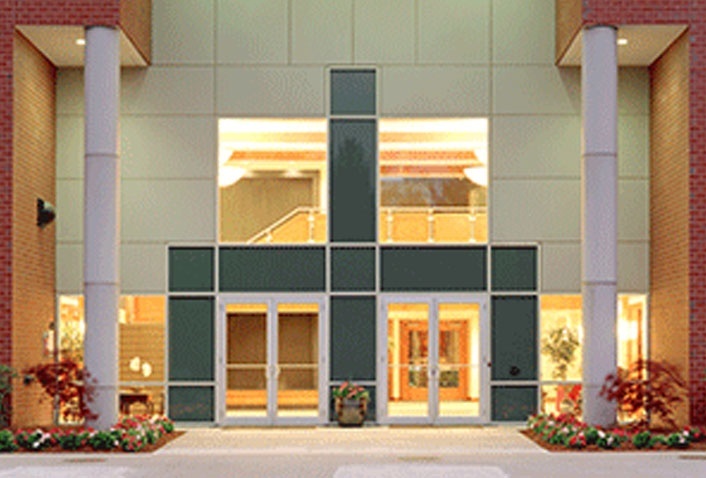 Nearly 20 years ago, Maugel Architects designed Foliage Software's first office building located in Burlington's Northwest Park. The Foliage building was renowned for its iconic arched entryway proudly displaying the Foliage name and logo. Foliage has now relocated and expanded into two buildings located at 10 and 20 North Road within the Park. Maugel designed a mini-campus for Foliage by adding distinctive sloped-glass corners and entryways to 20 North Road to match the design of 10 North Road, which had previously been designed by Maugel. The two matching facades now present a vehicular and pedestrian gateway to the amenity spaces between the buildings. The recently renovated 20 North Road structure features a new 25-feet-high lobby with clerestory windows--creating an instant iconic form in its own right. 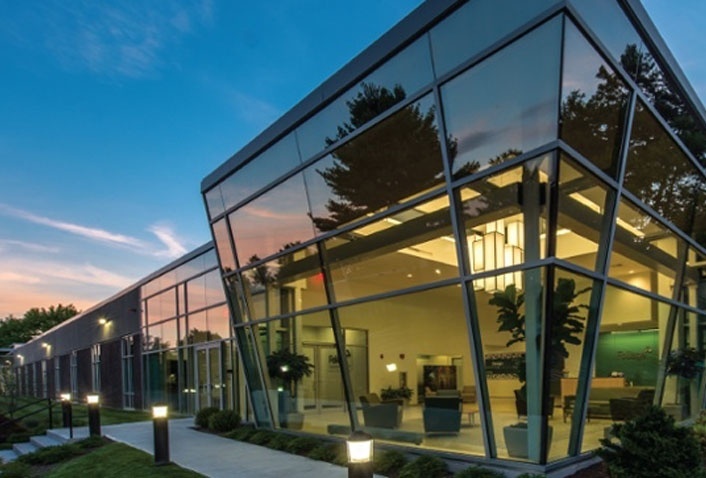 National Development has selected Maugel Architects to design dramatic façade improvements and common area transformations for five buildings at New England Executive Park located in Burlington, MA. Maugel's conceptual designs aligned well with National Development's vision of creating a vibrant, cohesive pedestrian environment which will integrate new retail uses into the campus. Maugel brought the vision to life with conceptual illustrations generated in just a few weeks. Andrew Gallinaro of National Development is managing the repositioning of the park. Andrew and his team of Allan Luciw and David Costello have a clear vision for the new look and feel of the campus which will feature new restaurants and amenities. Maugel Architects' design concepts for two affordable housing projects have been selected by the Town of Salisbury and the Affordable Housing Trust. The winning designs are for 41 dwelling units at 29 Elm Street and 19 Maple Street, located in Salisbury, Massachusetts. The projects feature additions and alterations to the Spalding School Building on Maple Street and two new buildings to be built on the Elm Street site. The residences will include studios units, and one, two and three bedroom units. Abundant greenspace amenities and parking will also be featured. Maugel designed the Elm Street housing as two buildings to keep the size and architectural style compatible with the agrarian New England vernacular of the neighborhood. Maugel Architects, an established and growing architectural firm in Harvard, MA, is seeking self-motivated, experienced project managers. Must have a minimum of 5-8 years experience, formal training in architecture or architectural engineering, and solid knowledge of various construction systems. 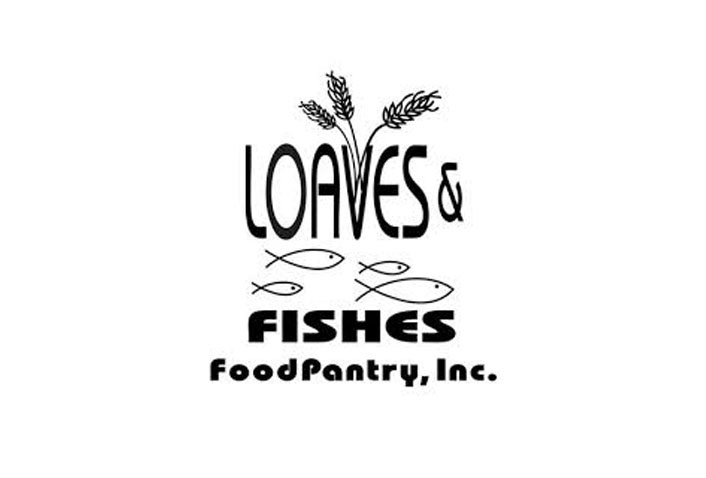 Applicants must be proficient in AutoCAD and/or REVIT, organizing drawing sets for bidding and construction, developing details, code and product research, coordination of architectural work with engineering disciplines, submittal review, and contract administration. Candidates will be expected to manage projects from start to finish, including budgets, client meetings/relationships, and communications. Maugel's renovation for Griffith Properties at Five Omni Way is nearing completion. 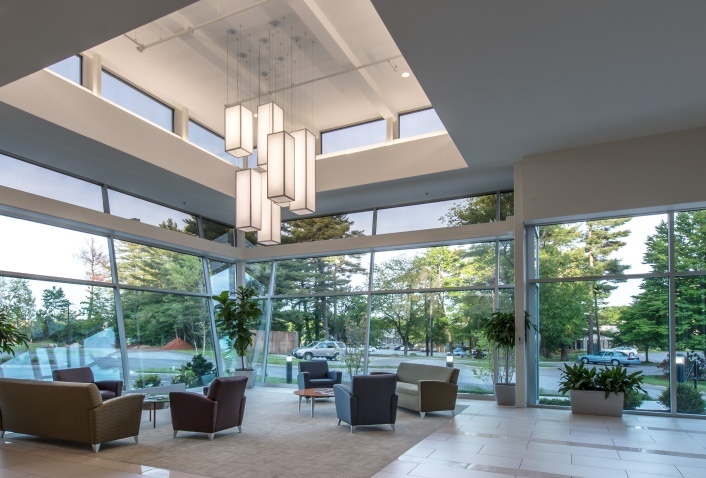 Located in Chelmsford, Massachusetts, the new renovation features a dramatic two-story curtain wall entry lobby, new facade materials, and a modern, high-impact interior environment. The newly designed exterior features a metal clad entry and canopy. Maugel used EIFS to clad the existing precast concrete skin to give the building a fresh look and modern appearance. The distinctive renovation repositions Five Omni Way as a high-value property. Retailers have known it for decades: incorporating the brand into interior design has a powerful marketing impact. Starbucks, McDonalds, Target and Apple are examples of retailers that have perfected the art of creating atmosphere that's unmistakably their own. But branding indoor spaces has become important to companies outside the retail realm, too. Central Massachusetts designers, marketers and business owners say it's no longer enough to slap a logo on your product and website. The company identity has to be a part of the spaces where the work is being done each day, too. "Nobody really wants an office space that people don't recognize as being some place special," said Brent Maugel, president and owner of Harvard-based Maugel Architects. 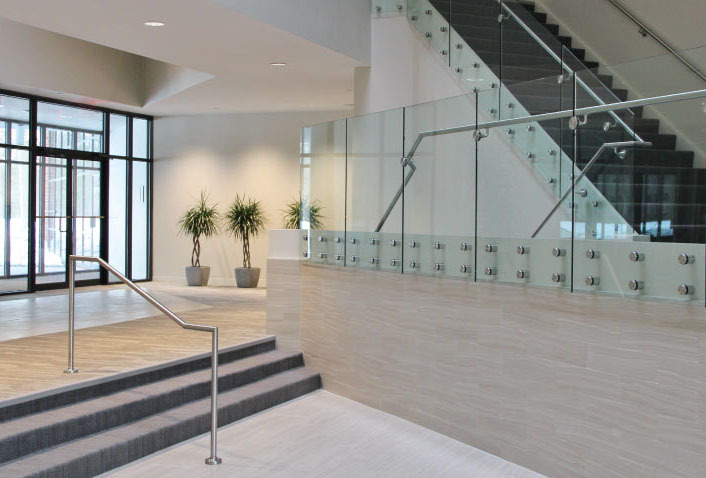 Maugel works regularly with firms that want to spruce up the interiors of offices that were last refinished in a bygone area. Today, businesses want to trade square footage for collaborative spaces, and find design elements — from paint colors to lighting and greenery — that are anything but ordinary. 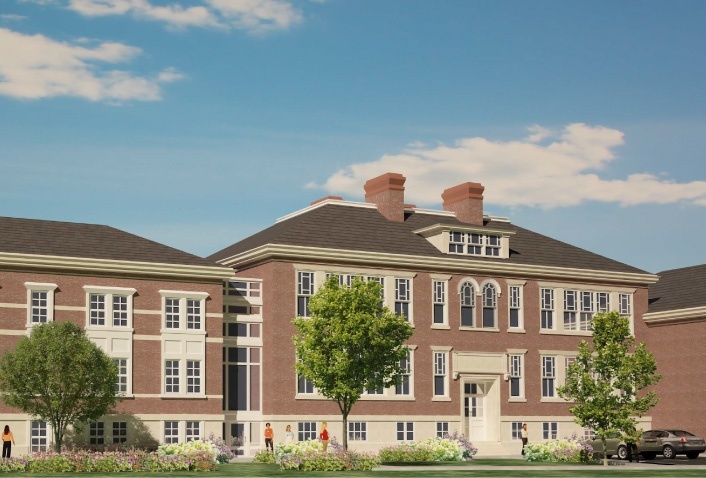 Resulting from the successful collaboration at Five Omni Way, Griffith Properties has selected Maugel Architects to design Lexington Crossing--a five building, 360,000 square foot renovation and retro-fit project in the Lincoln Labs-Hanscom Field area of Lexington, Massachusetts. The new designs will feature iconic architectural elements to clearly delineate each building's identity as part of a newly repositioned product. 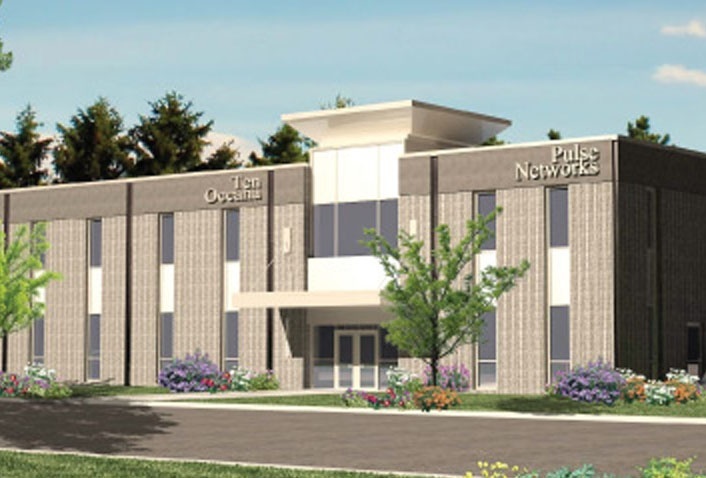 The 110,000sf facility, located in Wilmington, Mass., is being renovated to appeal to a new generation of occupants that will include office and educational users. Maugel will design new entry lobbies, windows, and exterior surfaces materials to enliven and transform the existing industrial facade. 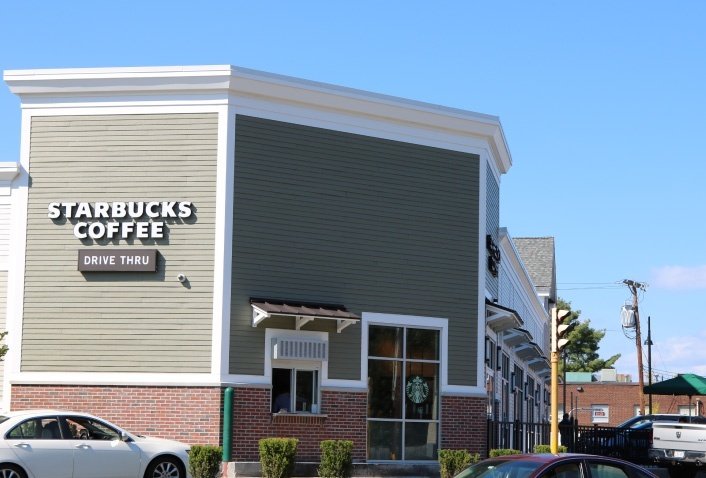 This initiative by building owner, Howland Development, was inspired by Maugel's successful track record of repositioning properties in the Greater Boston suburbs. 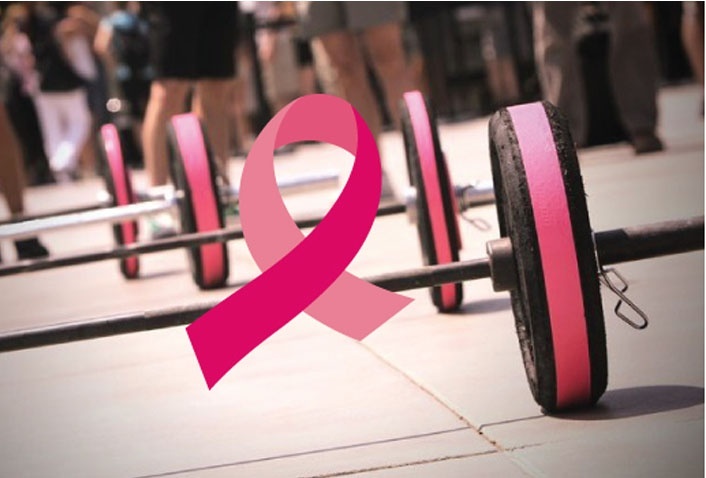 Posted October 17, 2013 by High-Profile Monthly in Real Estate, Trends and Communication. 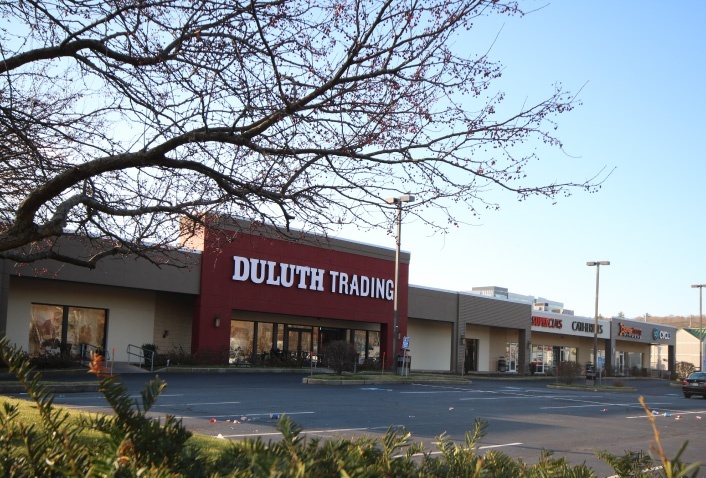 The current inventory of existing, vacant commercial real estate presents an opportunity for many investors. Due to the lack of market demand in recent years, many investors are diversifying their portfolios and selling properties at very attractive values. The attractive pricing and recent, subtle uptick in demand for commercial office space and light manufacturing has led buyers to be cautiously optimistic about investing in older buildings. Many savvy investors are able to acquire properties at price points that allow for dramatic façade and infrastructure improvements—while still preserving attractive lease rates. 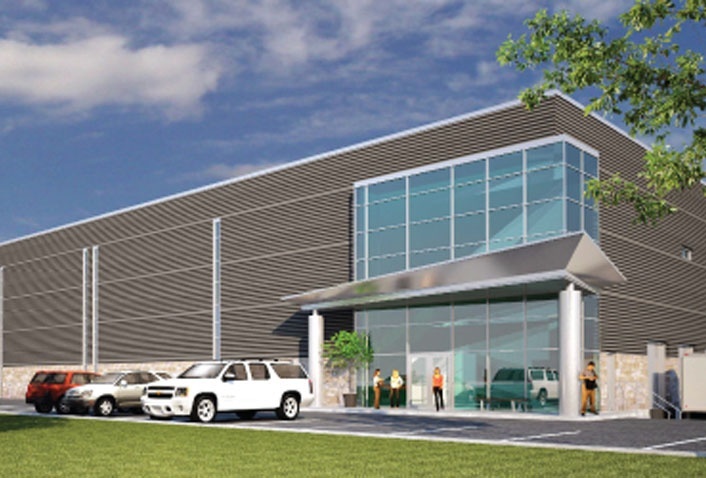 Maugel Architects has been selected to design 80,000 square feet of ground-up, industrial warehouse space for PGA Realty. Located at Upton Drive in Wilmington, Massachusetts, the building is being designed on a speculative basis to serve the demand of the large warehouse and distribution centers in the Wilmington area. The high bay construction will include two main entries and two distribution centers to accommodate flexible subdivision of the space. Maugel Architects and Peter Crocker of PGA Realty have worked together for many years. 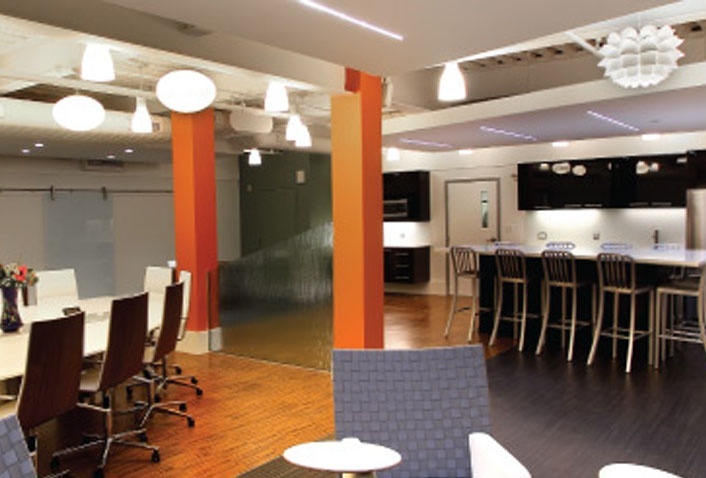 Previous projects with PGA Realty have included flex space, commercial office space and light manufacturing. 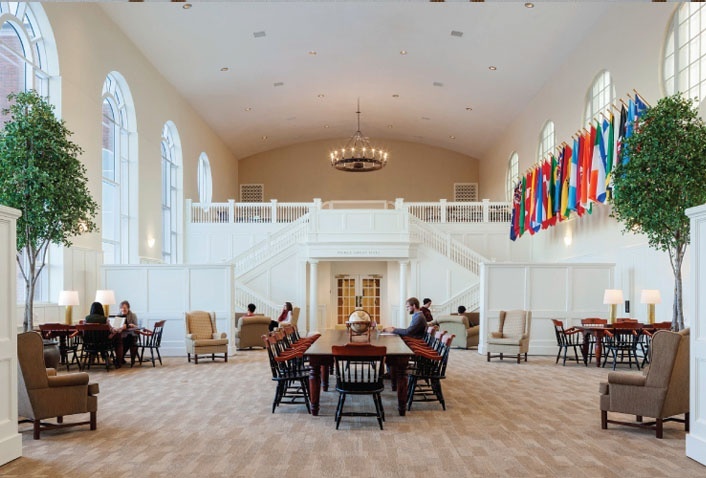 Welcoming spaces for fellowship, for reflection, for disciple-building, and for learning-- these factors have guided extensive interior renovations at Gordon-Conwell Theological Seminary during the past two years. The phased renovation effort included the creation of three distinct spaces at the seminary’s central Kerr Building, which culminated in a heartfelt dedication ceremony on September 6, 2013. It has been an honor for Maugel Architects to assist Gordon-Conwell with each of these projects; sharing their vision and celebrating the generosity of spirit and resources that have made it all possible. Located at 201 Middlesex Turnpike, in Burlington, Massachusetts, this new retail building plaza is Maugel Architects' latest collaboration with Liscotti Development Corporation. The project marks the fourth retail building completed with Lisciotti in the last four years. 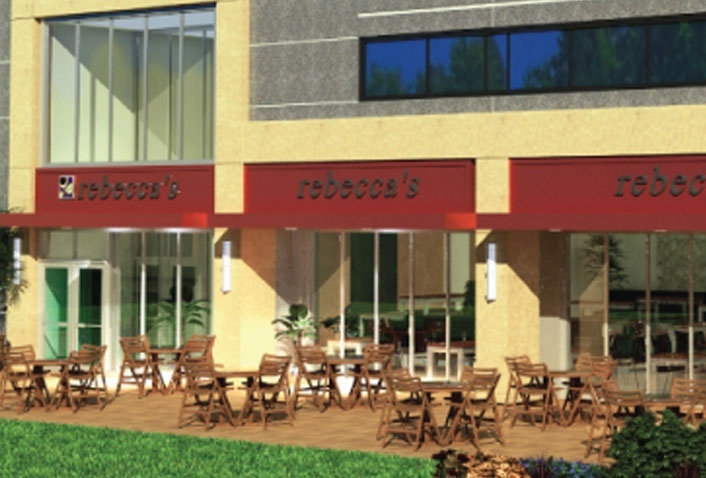 The one story, 9,000 square foot building accommodates six retail/restaurant tenants. Working within a triangular shaped site located at the intersection of Middlesex Turnpike and Terrace Hall Avenue, proved to be a unique design challenge. Careful consideration was required to ensure the design was appealing and cohesive from all angles and directions. The result is a modern retail plaza that relates to the urban fabric of the town, while reflecting elements of the recently rejuvenated Middlesex Turnpike. 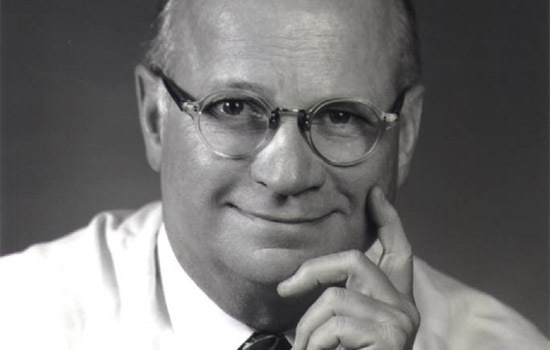 As many of you know, the Boston architectural community, and the world-at-large, lost a wonderful man last week with the passing of Peter Steffian of Steffian Bradley. I first met Peter when he hired me as a junior draftsmen at the age of 25--back in the days of mechanical pencils, rapidograph pens, mylars, sepias and ammonia blueprint machines. (Items that befuddle spell check and most of my current employees...) Peter was the most charming, gentle and fair employer that I have ever had. His smile always expressed a whimsical mischievousness that veiled his disarming intellect and candor. He was just one of those subtly strong leaders whose tools of the trade included humility, wit and humor. Congratulations to World Academy on the completion of their 21st century learningenvironment. Kathy and Gary Nelson, the founders of World Academy, happily welcomed students, faculty, families, and community members to the Dedication Ceremony and 33rd Annual Open House. The ceremony took place in the new state-of-the-art gymnasium equipped with a full stage, rock climbing wall, and regulation basketball court. While each of the speakers eloquently spoke to the commitment, dedication and creative energy required by all involved to make the vision of World Academy a reality, the joy as the students proudly led their families and friends through the new addition was more rewarding than any words could have expressed. 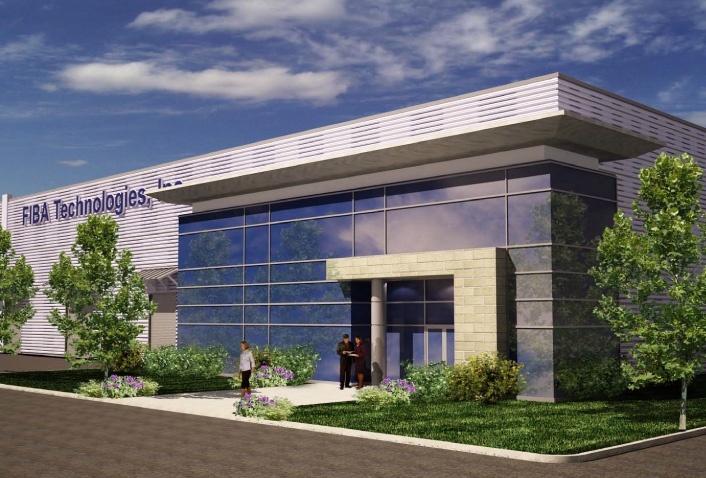 FIBA Technologies has selected the design-build team of Maugel Architects and Groom Construction for the renovations for their new corporate office, manufacturing, and assembly plant in Littleton, Massachusetts. FIBA is a leading provider of gas containment equipment and services to the industrial gas, chemicals, specialty gas, offshore oil and gas exploration, and alternative fuel industries. Today, we are seeing many churches creating their worship facilities within commercial buildings. Large commercial structures have ample square footage and open space that can easily be reconfigured. Commercial properties also tend to have sufficient parking and landscape, as well as an at-grade pathway to a gracious entrance. With an abundance of vacant office buildings across the country and a growing need for cost-effective solutions for houses of worship, repurposing office space for churches makes a great deal of sense. And with a creative selection of materials and design features, we believe there is great potential in helping religious organizations to achieve their desired image and character in any setting. 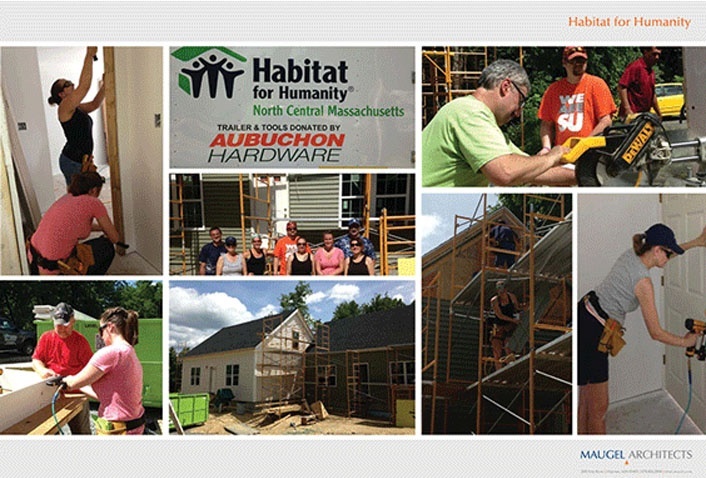 We are pleased to announce that Maugel Architects has been awarded a Work Force Training Fund Grant administered through the Commonwealth of Massachusetts. The grant will be used to provide training to all our employees. 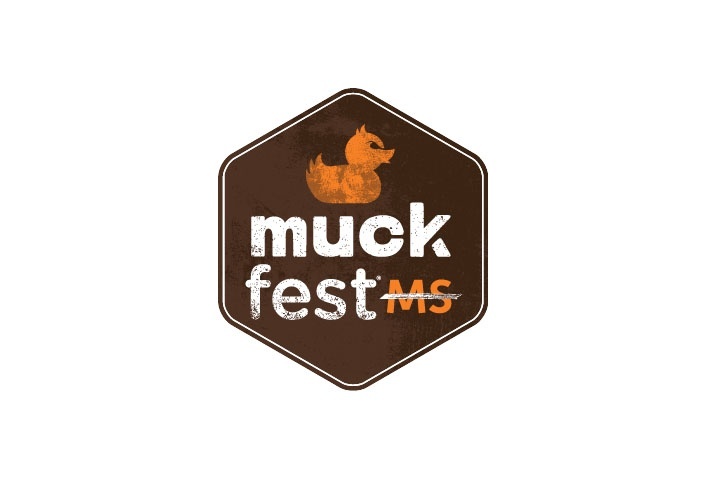 In turn, Maugel will commit significant resources for the development and growth of our employees over the next twenty four months. This is a great opportunity to position our people for success and our firm for the future. Maugel Architects has been selected by Griffith Properties for the extensive renovations at Five Omni Way in Chelmsford, Massachusetts. The design features a dramatic two story entry lobby, new facade materials and a modern, high-impact interior environment. The distinctive renovations will reposition Five Omni Way as a high-value property. 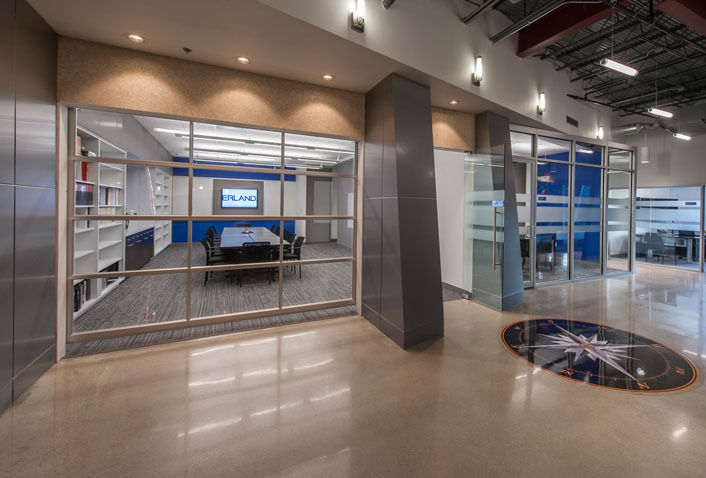 The Maugel Architects, Integrated Builders and Equity Industrial Partners team were featured in High-Profile Monthly for the 200,000 SF corporate headquarters renovation for Enterasys Secure Networks. 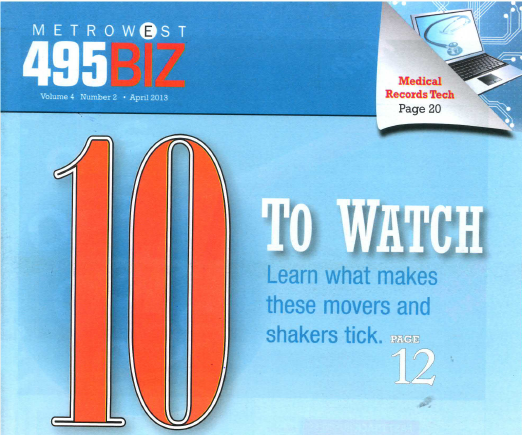 View the center spread and article here. A reprint to the article is found below. 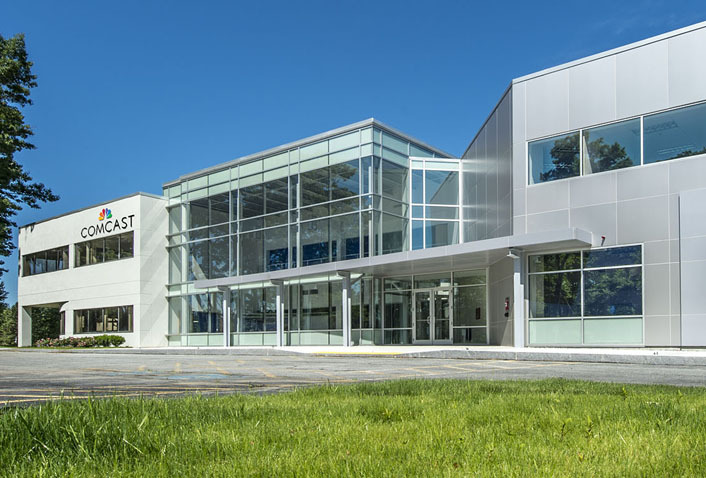 Equity Industrial Partners selected the Maugel Architects and Integrated Builders team to renovate nearly 200,000 SF of space in the 9 Northeastern Boulevard facility for the new corporate headquarters of Enterasys Secure Networks. 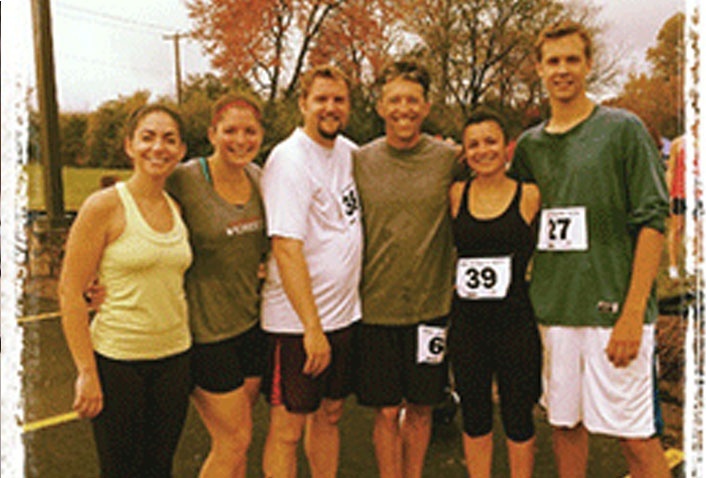 Enterasys, a world renowned leader in secure network technologies, consolidated their operations, supported by over 500 employees, at 9 Northeastern Boulevard on December 8, 2012. 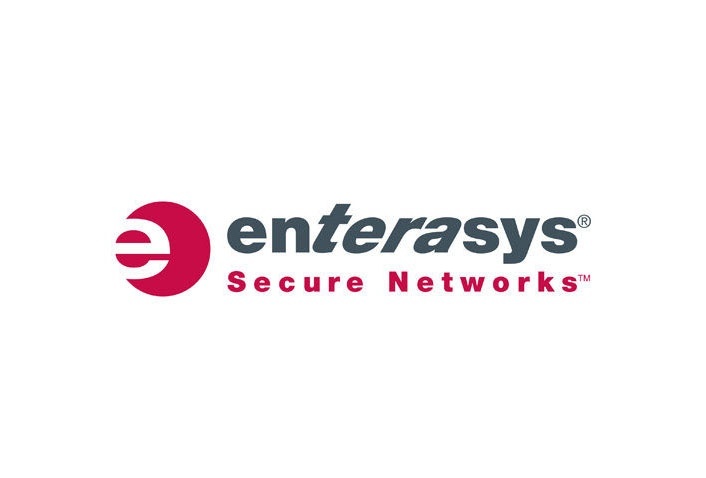 The Enterasys Secure Networks project is the fourth new tenant that the team has provided new design and construction services to for Equity Industrial Partners at the 660,000 s/f facility. 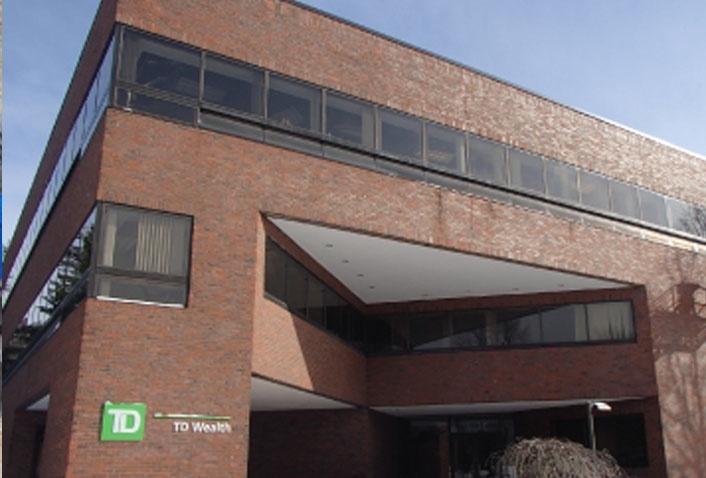 Maugel Architects has been selected to perform extensive renovations to the headquarters location of the Winchester Savings Bank (WSB), located on Main Street in Winchester, MA. The design includes a redesign of the entire first floor and a structural in-fill of a portion of the existing interior atrium located between the 1st and 2nd floors. 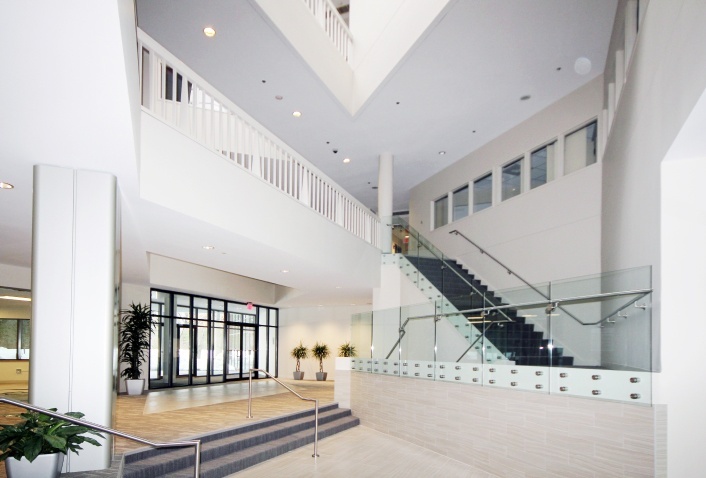 This internal expansion provides new space for conference rooms and a large community room. The goal of the project is to transform a 1979 banking environment into a modern retail and commercial banking platform that engages today’s customer through fast, efficient service. Interior design services include all new finishes, millwork, furniture, signage, and audio visual aids which reinforce WSB's new branding. The new functional work environment is designed to welcome long-time clientele, while reaching out to a new demographic. The result will be an improved customer-focused experience that is warm and friendly, easy to navigate, improves efficiency, and projects a clean, uncluttered image. 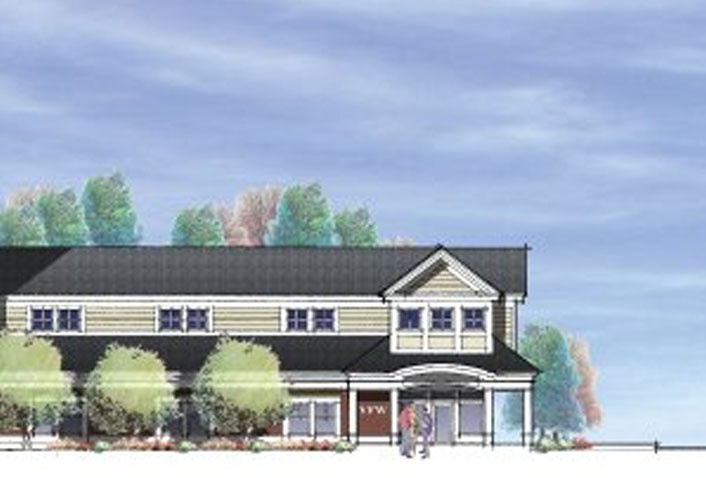 Maugel Architects has been selected to design the new 3,700 square-foot Millbury branch of Fidelity Bank. 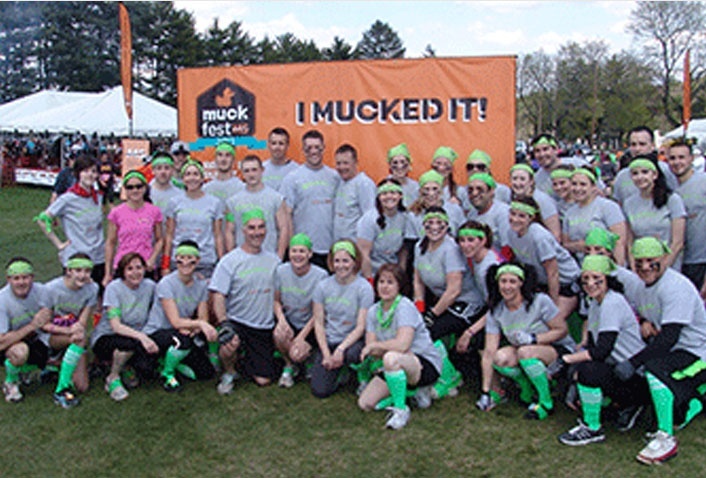 Fidelity Bank is one of the oldest and continually growing independent, local community banks in Central Massachusetts. In addition to the bank office, Maugel Architects will design extensive renovations to the 4,000 square-foot adjacent VFW hall at 16 South Main Street. The new branch office will be an addition to the renovated VFW hall. 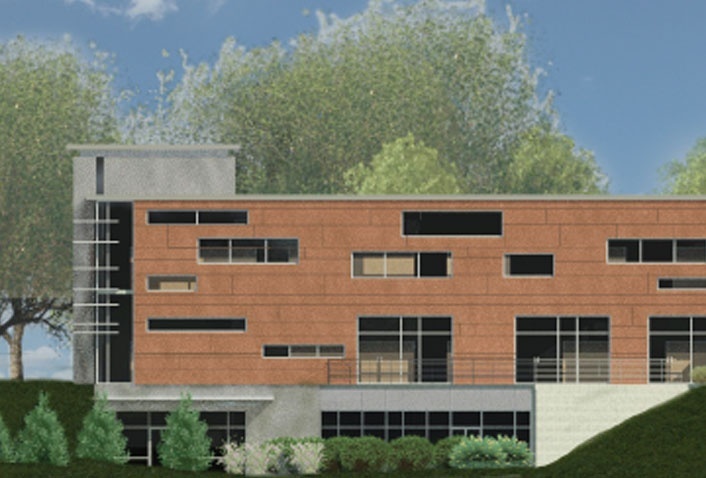 Maugel Architects has been selected to design the 6th expansion project for LeMaitre Vascular, Inc. in Burlington, MA. 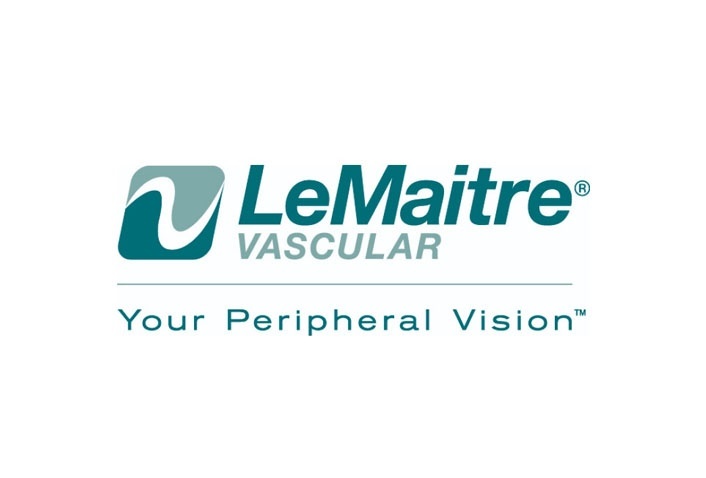 LeMaitre Vascular is a provider of devices and implants for the treatment of peripheral vascular disease, a condition that affects more than 20 million people worldwide. 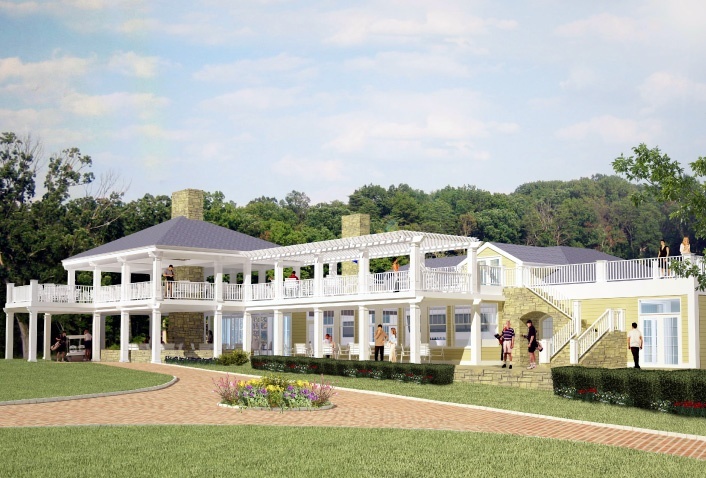 Maugel Architects has been selected as the designer for the addition and alterations to the new Shaker Hill Golf Course Clubhouse and Far Point Pavilion. Along with significant improvements to the golf course, which includes a new practice green and a reconfigured 18th hole that finishes at the clubhouse, the new ownership is planning significant improvements to the clubhouse. 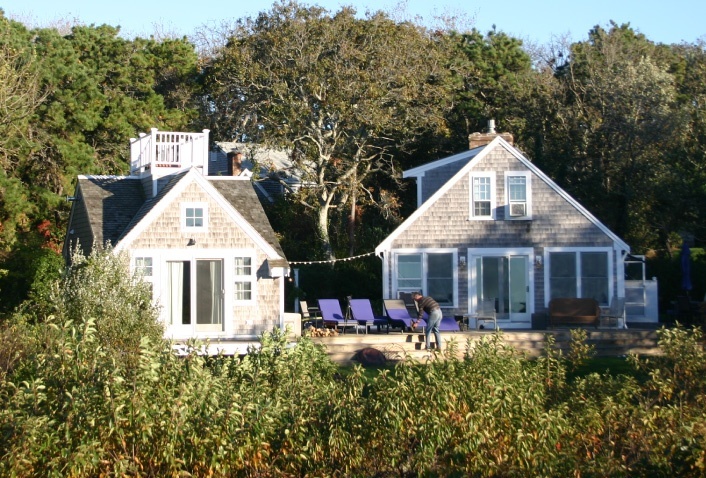 Last week, we packed up the crew and headed down the Cape for our annual corporate retreat. It had been a while since I had to attend a corporate retreat and as we all know, there are good retreats and there are bad retreats; which this would be was yet to be seen. So it was with a little apprehension that I packed my overnight bag and headed south for the two hour drive. In route, my husband called to wish me luck, "Remember the trick to making it over the hot coals barefooted is not to look down." He jests, but one never knows. At Maugel Architects, we believe that being thoughtful is a requisite skill to being a top designer. This philosophy has inspired us to work with clients to craft distinctively designed, innovative work spaces—cost effectively. An illustration of this collaboration occurred when one of our clients questioned why "design" required covering the building's structure and hiding its systems. After thoughtful consideration, we proposed a new concept that we now refer to as the Studio Design aesthetic, or Dio-design for short. I'm one of those New Englanders who never likes to see summer come to an end. I love the fall but the end to summer always reminds me of the cold winter days ahead and all the snow I'll have to shovel. But thankfully, this year Mike and Devin made the ending to summer a little easier. They fired up the smokers and treated everyone to a fantastic BBQ feast. Now, these two are no strangers to a smoker. I hear that Mike has been known to compete in the local BBQ cook-off circuit. We're fortunate that we all get to enjoy their masterful creations. 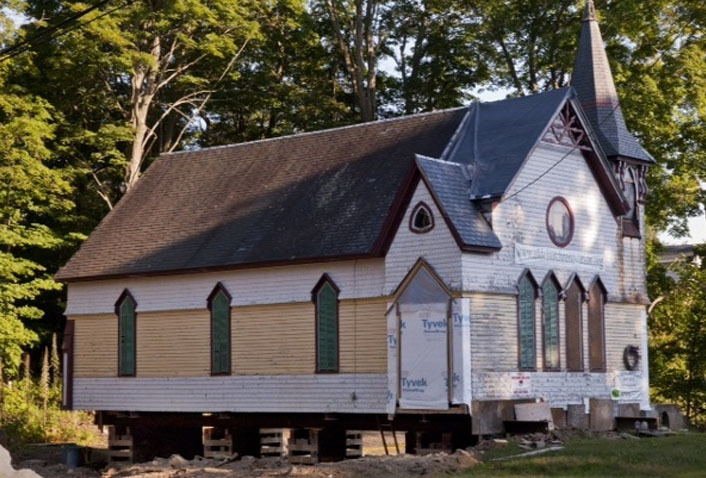 We are pleased to announce that Maugel Architects is providing the pro bono design services for The Old Church Renovation Project in Berlin MA. The historic Old Methodist Episcopal Church (OMEC) building will be called 19 Carter, a community gathering place. OMEC’s vision is to transform the old church into a place where people can drop in daily to enjoy comfortable reading chairs, quiet spaces, games and puzzles, and access free internet. I started working at Maugel on June 28th. 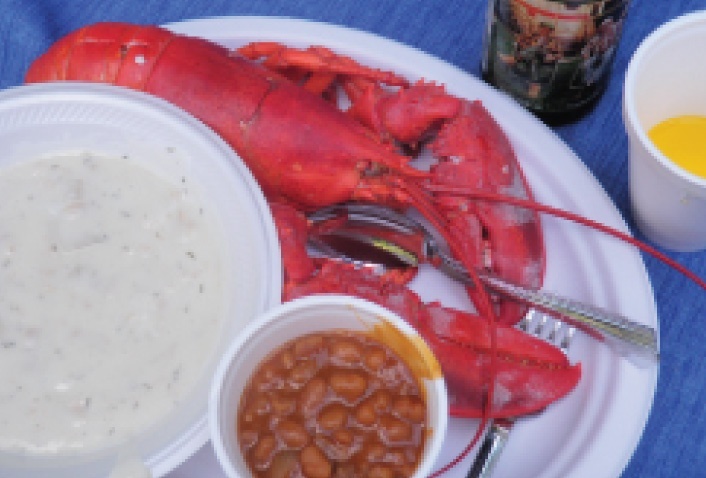 About two weeks later, I received an invitation to the Maugel Summer Lobster Bake & Pool Party. Now for most people over forty, there is one event that is sure to send a shiver down your spine: pool party. Yikes! What had I gotten myself into? I thought companies had gotten rid of all these "fun" things to do. Wasn't the country in a recession? There was no way I was getting my non-gym-going self into a bathing suit in front of my co-workers (or in shorts, for that matter). I pondered whether my sudden resignation would be held against me by a future employer...probably, so I decided to go speak with Deb first. Maugel Architects, along with state dignitaries, attended the ribbon cutting and grand opening celebration for the Old High School Commons Apartments in Acton, MA. The Old High School Commons Apartments is the transformation of the former two-story Acton High School, located at Massachusetts Avenue and Charter Road, into 15 brand new affordable apartments. Maugel Architects is pleased to announce that Robin Peters has joined the firm as the Marketing Director. 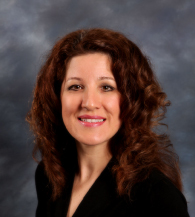 Robin comes to Maugel with over 20 years of marketing and sales experience in the management consulting, investment management, and technology markets. 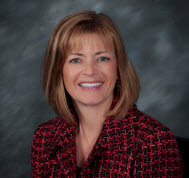 Most recently, Robin was the internet marketing manager for a business development consultancy where she was responsible for the design and implementation of the firm’s inbound marketing programs.Robin has a broad range of business experience having held positions in consulting, market research, software product management and marketing, alliance marketing, and sales. She holds an MBA from Babson College’s F.W. Olin Graduate School of Business. 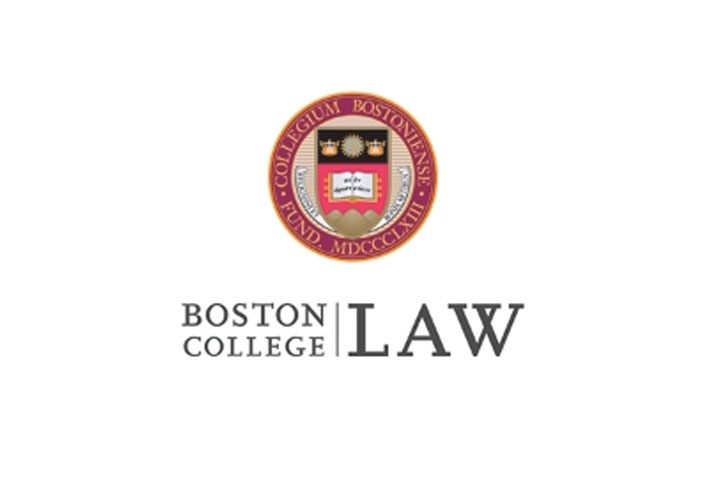 Maugel was selected to design the faculty lounge at Boston College Law School. 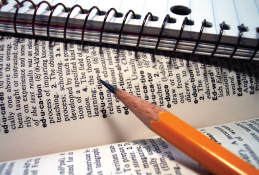 The commission marked the sixth project that Maugel has completed for the law school. In 2008, Maugel completed its fifth commission, the renovations of the Law School Deans Suite at Stuart Hall. 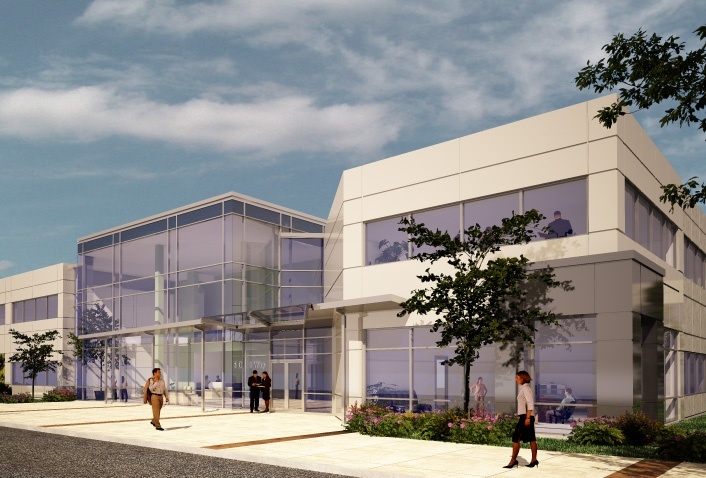 Design is underway for Enterasys’ move to newly renovated space at 9 Northeastern Boulevard, Salem, NH. Enterasys will occupy 190,000 square feet of the 650,000 square foot facility owned and managed by Equity Industrial Partners of Needham, MA. The Enterasys space will feature extensive core and shell renovations, including the introduction of open air courtyards in the middle of the facility. Maugel announced today that it has completed the design of St. Gabriel's Church. St. Gabriel's is the result of a successful collaboration of two established Catholic parishes over a six-year planning and design process. The design for the 27,000 SF building in Upton, MA incorporates stained glass and liturgical elements from the former churches, as well as refurbished pews from a church in the Worcester diocese. 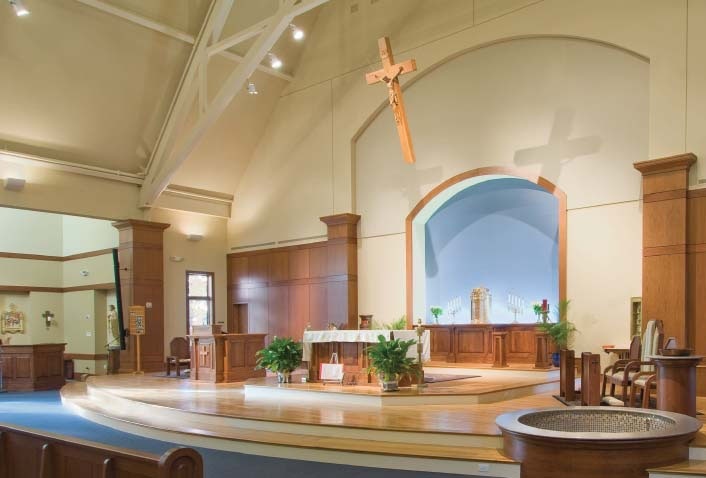 St. Gabriel contains a 600-person worship space, a gallery to accommodate flexible uses and fellowship, a 30-seat chapel, custom-designed liturgical furnishings, a 12-room Christian education center, and an administration core.